Three blondes are stranded on an island. A fairy comes along and says that she will grant each person a wish. So the first blonde says she wants to be really smart so she digs and finds a cell phone and calls the Army. The second blonde says that she wants to be even smarter so she finds a flair and sets it off. 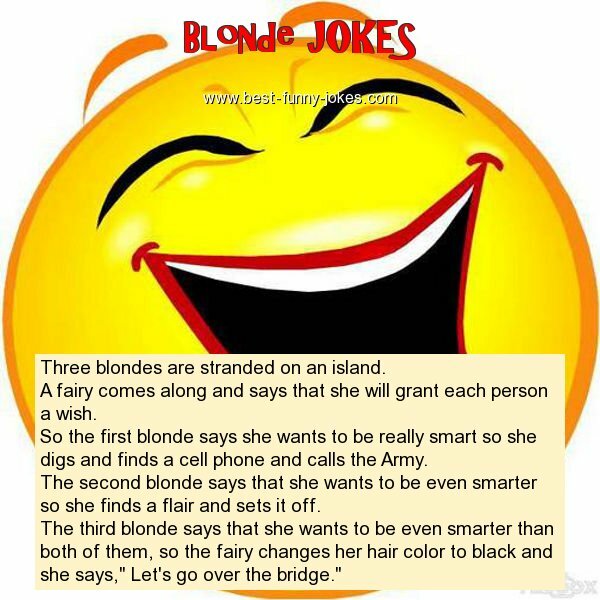 The third blonde says that she wants to be even smarter than both of them, so the fairy changes her hair color to black and she says," Let's go over the bridge."